The family of the former pop mega-star Prince has filed a lawsuit against the doctor who prescribed him Percocet and the doctors who treated him for an overdose shortly before he died. Prince died after taking and purchasing pills that he thought were Vicodin but were actually laced with the ultra-powerful opioid known as fentanyl. Fentanyl is said to be 50 times more potent than heroin. In other words, it takes 50 times more heroin to produce the same high as fentanyl does. The production of this drug in a street variety has resulted in an ever-increasing number of deaths. It is also more lucrative for drug dealers who can produce a greater number of doses from a smaller amount. The grieving family is lashing out at the doctors who they believed failed Prince in the days before his death and before. The question then becomes: Do they have a case? Prince’s family is arguing that the named defendants had a duty of care diagnose the pop start with opioid addiction. They are saying that it should have been clear to these doctors that Prince’s dependence on the drug was such that an overdose was not only foreseeable, but likely. Prince’s family has singled out Dr. Michael Schulenberg who saw Prince twice in the week before his death. The doctor had prescribed Prince Percocet but did so in the name of Kirk Johnson, who was Prince’s friend and drummer. For that, he was fined $30,000. The family is arguing that instead of giving Prince a prescription made out to another person, Schulenberg should have counseled him to seek help for his addiction. Prince’s family is alleging that there were a number of mistakes made by the hospital that treated Prince after he had overdosed on the fentanyl pills. Among the most damning accusations is that they failed to recognize that the drug Prince had taken was fentanyl and not Vicodin. The pill appeared to have been cut to mimic hydrocodone, but the hospital required an excessive dose of Naloxone in order to revive Prince. Naloxone works as an opioid antagonist. In other words, it counteracts the effects of opioids and has saved countless lives from certain overdose. 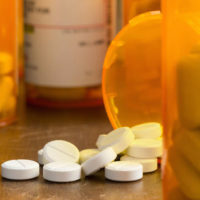 However, often when the drug is administered to those who have taken fentanyl, more Naloxone is required to reverse the effects of the opioid that is causing the overdose. What we do know is that the drug that killed Prince was not hydrocodone but a fentanyl pill made to look like hydrocodone. We know that the hospital examined the drug and found nothing suspicious about it. We also know that they revived Prince. What we don’t know is how much Naloxone was required to revive him. If it was more than it would take for an average heroin overdose, then it may be possible to prove that the hospital and doctors that treated Prince should have deduced that the pill was cut with fentanyl. Still, it’s a hard case to make. If your loved one has been taken from you because of the negligence of another person, the Jacksonville personal injury attorneys at Gillette Law can help you recover damages. Give us a call or contact us online and we can begin discussing your options.